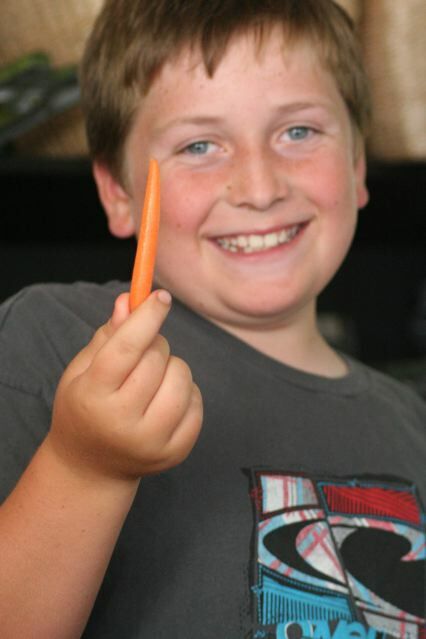 I think Nick has eaten more carrots, hands down! He likes the small packages of petite carrots and was tickled when this long one ended up in the package. “mom, ya gotta take a picture of this one for your blog.” Sure thing Nick. I, and everyone I know, is equally entertained by long carrots in petite bags as you are.